Voltage Modular was shown at the beginning of the year, but its official release came in September – and now is when it’s really hitting its stride. Cherry Audio’s take certainly isn’t alone; see also, in particular, Softube Modular, the open source VCV Rack, and Reason’s Rack Extensions. Each of these supports live patching of audio and control signal, hardware-style interfaces, and has rich third-party support for modules with a store for add-ons. But they’re all also finding their own particular take on the category. That means now is suddenly a really nice time for people interested in modular on computers, whether for the computer’s flexibility, as a supplement to hardware modular, or even just because physical modular is bulky and/or out of budget. So, what’s special about Voltage Modular? Each jack can pop up to reveal a multi. It’s polyphonic. This one’s huge – you get true polyphony via patch cables and poly-equipped modules. Again, you know, like a computer. It’s open to development. There’s now a free Module Designer app (commercial licenses available), and it’s impressively easy to code for. You write DSP in Java, and Cherry Audio say they’ve made it easy to port existing code. The app also looks like it reduces a lot of friction in this regard. There’s an online store for modules – and already some strong early contenders. You can buy modules, bundles, and presets right inside the app. The mighty PSP Audioware, as well as Vult (who make some of my favorite VCV stuff) are already available in the store. 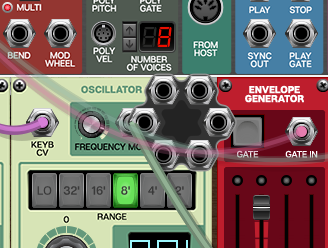 There’s an online store for free and paid add-ons – modules and presets. But right now, a hundred bucks gets you started with a bunch of stuff right out of the gate. 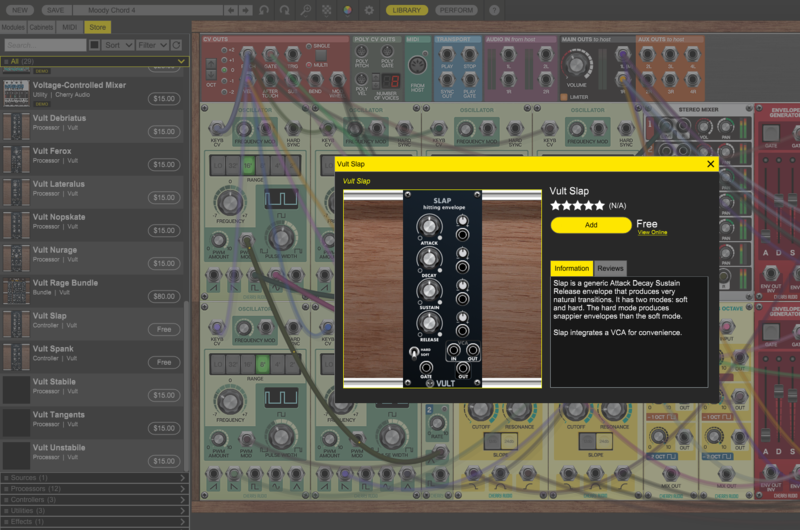 Voltage Modular is a VST/AU/AAX plug-in and runs standalone. And it supports 64-bit double-precision math with zero-latency module processes – but, impressively in our tests, isn’t so hard on your CPU as some of its rivals. Right now, Voltage Modular Core + Electro Drums are on sale for just US$99. Real knobs and patch cords are fun, but … let’s be honest, this is a hell of a lot of fun, too. Just don’t think of “Java” as in legacy Java applications. Here, DSP code runs on a Hotspot virtual machine, so your DSP is actually running as machine language by the time it’s in an end user patch. It seems Cherry have also thought through GUI: the UI is coded natively in C++, while you can create custom graphics like oscilloscopes (again, using just Java on your side). 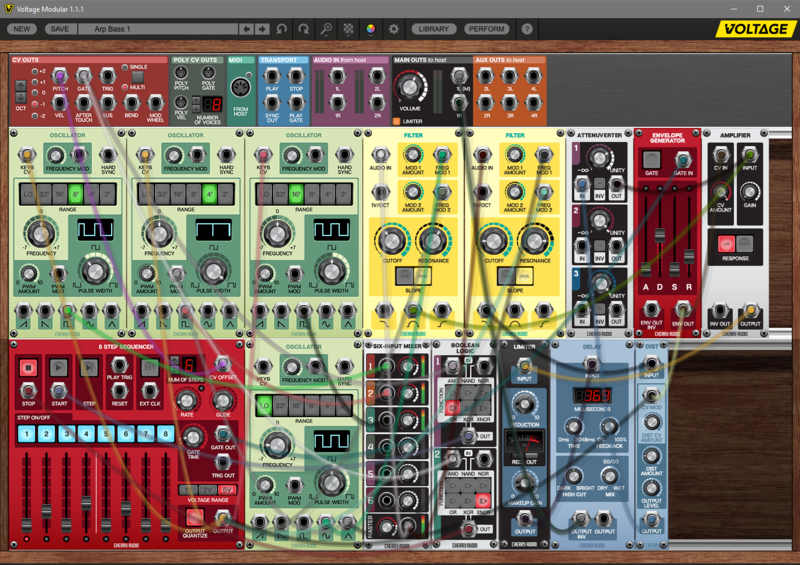 This is similar to the models chosen by VCV and Propellerhead for their own environments, and it suggests a direction for plug-ins that involves far less extra work and greater portability. It’s no stretch to imagine experienced developers porting for multiple modular platforms reasonably easily. Vult of course is already in that category … and their stuff is so good I might almost buy it twice. Or to put that in fewer words: the VM can match or even best native environments, while saving developers time and trouble. Cherry also tell us that iOS, Linux, and Android could theoretically be supported in the future using their architecture. Of course, the big question here is installed user base and whether it’ll justify effort by developers, but at least by reducing friction and work and getting things rolling fairly aggressively, Cherry Audio have a shot at bypassing the chicken-and-egg dangers of trying to launch your own module store. Plus, while this may sound counterintuitive, I actually think that having multiple players in the market may call more attention to the idea of computers as modular tools. 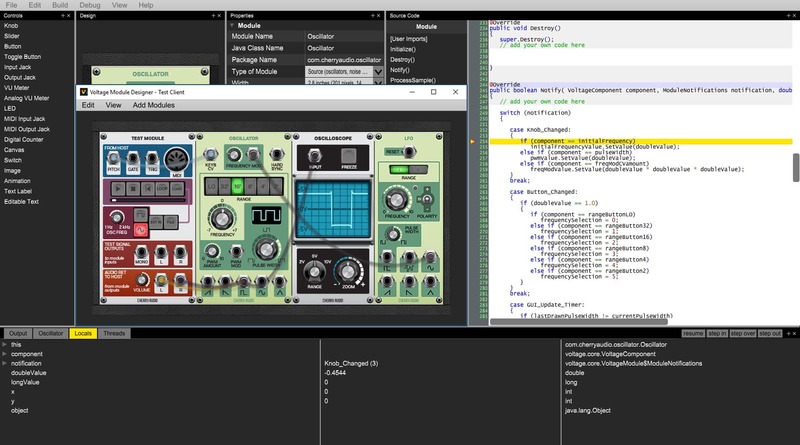 And since porting between platforms isn’t so hard (in comparison to VST and AU plug-in architectures), some interested developers may jump on board. Stay tuned; I’ve got this for testing and will let you know how it goes.